So, I am really unsure of proper season changing etiquette here. When is the appropriate time to begin decorating for fall, cooking up fall recipes, wearing sweaters and boots and so on? I really hope that it is not too early to post a pumpkin recipe. However, we did have quite the cool front come through making it feel an awful lot like fall very quickly here. I have also noticed a few of the leaves on my trees changing to yellow. These are signs that fall will truly be here before we know it. 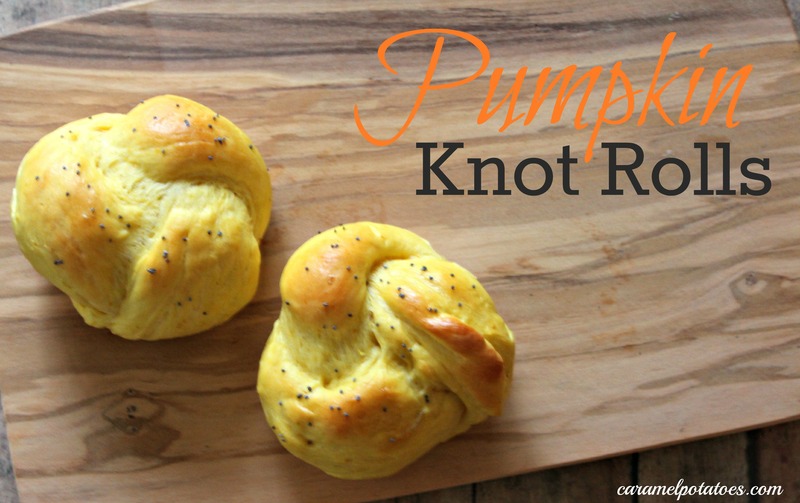 And I have been waiting to share these amazing Pumpkin Knot Rolls with you. Plus with the cooler weather who doesn’t love a bowl of hot soup with a fresh from the oven roll along side it? The pumpkin is a very mild flavor while yielding a moist and light roll that bakes with a nice golden color. These are really quite simple, the knots are an impressive look, if you ask me, but are still simple to come by. And by posting this recipe with plenty of time until the holidays you can even practice tying the knots if you think you may need it. So let me know, are you fully in the fall season yet? Have you broke out your sweaters and boots? Are you diving right into apples and pumpkin foods? Make sure you get these Pumpkin Knot Rolls on your fall menu! In a bowl, dissolve yeast in warm milk. Add the butter, sugar, pumpkin, 2 eggs, salt and 3 cups flour. Beat until smooth. Stir in enough remaining flour to form a soft dough. Turn onto a lightly floured surface; knead until smooth and elastic, about 6-8 minutes. Place in a greased bowl, turning once to grease top. Cover and let rise in a warm place until doubled, about 1 hour. In a small bowl, beat water and remaining egg. Brush over rolls. Sprinkle with sesame or poppy seeds if desired. Bake at 350° for 15-17 minutes or until golden brown. Remove from pans to wire racks to cool. What a fun dinner roll! You see all these sweet pumpkin dishes & not enough savory. 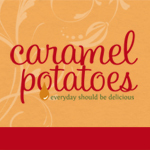 Thanks for sharing at Sweet & Savory Saturdays #30.